A village has a new landmark after a local business set its generosity in stone. 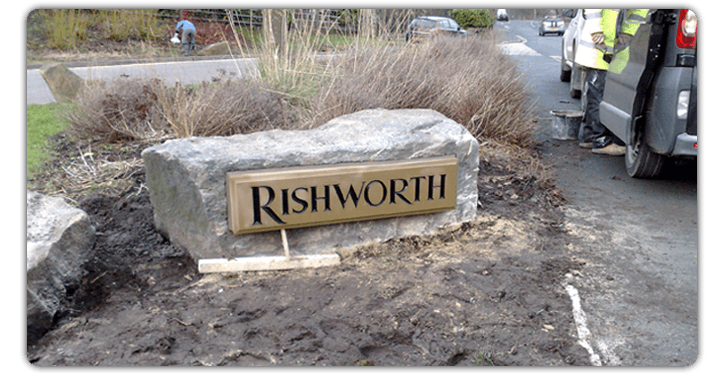 The new Rishworth name stone, which occupies pride of place at the turning circle, Oldham Road, has been some 12 months in the planning by the village's Environmental Group. But when they discovered it would cost more than £400 to get the name stone made, Brian Brooks, of Ripponden stonemason's BD Brooks, stepped in to sculpt it for free. Judith Crossley, of Rishworth Environmental Group, said: "We are all delighted and so many people have been in touch to say they like it. It's become a real focal point for the village and was a very generous gesture." Flowers are soon to be planted around the stone in time for this year's Yorkshire In Bloom judging.